Hanoi (VNA) – The National Assembly (NA) heard reports on State budget balance and audit in 2015 by government members during a working session in Hanoi on May 22, under the chair of NA Vice Chairman Phung Quoc Hien. Delivering the report on State budget balance in 2015, Finance Minister Dinh Tien Dung said the total State budget collection in 2015 hit over 1,291 trillion VND while spending was 1,502 trillion VND due to increasing demand for infrastructure and social welfares. The report pointed out that the effective implementation of synchronous measures to recover economic growth as well as the efforts of the whole political system greatly contributed to the 2015 budget collection-spending. Spending on development investment rose rationally, with priority given to agriculture and rural areas, mountainous localities, the Central Highlands, poverty reduction, and social security. However, there remained shortcomings in the management of State budget in some units and localities, it said. Nguyen Duc Hai, head of the NA’s Finance-Budget Committee, said the government debts reached half of the gross domestic product (GDP) while public debts accounted for 61.8 percent of GDP, admitting shortcomings in public debt management. Meanwhile, the report on the draft Law on amendments and supplements to several articles of the Law on Credit Organisations said after four years of implementing the project on restructuring credit organisations for the 2011-2015 period, besides certain results, there were still many shortcomings which were attributed to limited mechanisms and policies. The NA’s Economic Committee stressed the need to make the law to build a system of financially healthy credit organisations which operate under international rules. It asked compiling agencies to continue reviewing regulations in the draft law to ensure that they are synchronous with the Constitution and relevant laws. 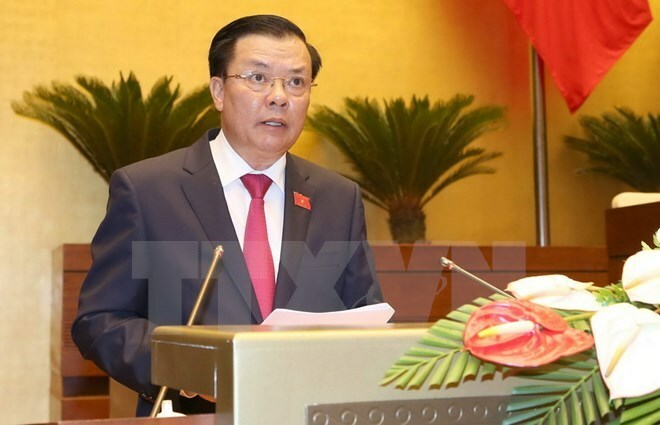 Governor of the State Bank of Vietnam Le Minh Hung presented a report on the draft resolution on dealing with bad debts by credit organisations, under which, he called for refining the legal framework to protect the rights of credit organisations as legal lenders. The draft resolution comprises 18 articles regarding the rights of lenders and the development of debt markets, settlement of guaranteed assets, among others.